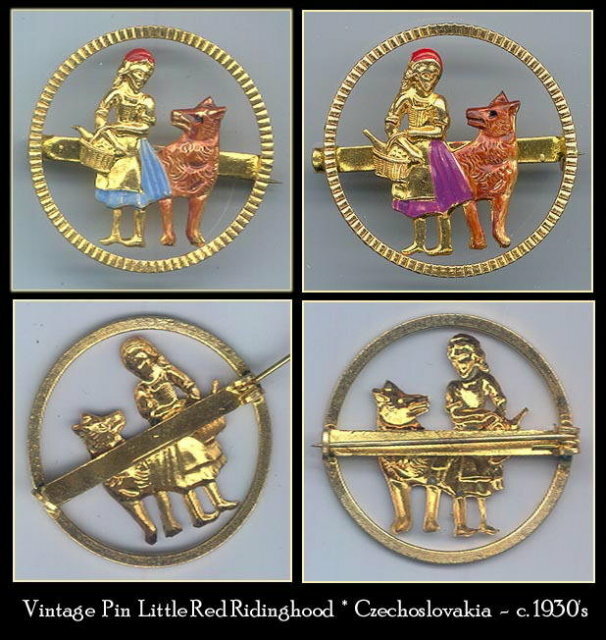 (3) lovely stamped goldtone finish metal "Little Red Riding Hood" pins. Little Red Riding Hood is holding a basket, Bad Wolf standing next to her. The hat is painted red, her skirt is blue (or purple) and the wolf is brown. These RARE character pins were found in a lot of old unused Czech costume jewelry - and is typical of jewelry sold at the country Fairs in pre WWII Europe. Excellent condition, Czechoslovakia circa 1930's. Dimension : 1-1/8" diameter. Individual pin is available ($39), if interested, please email us. Available is also same pin depicting Gnom (Dwarf)...but without the Snowwhite.... 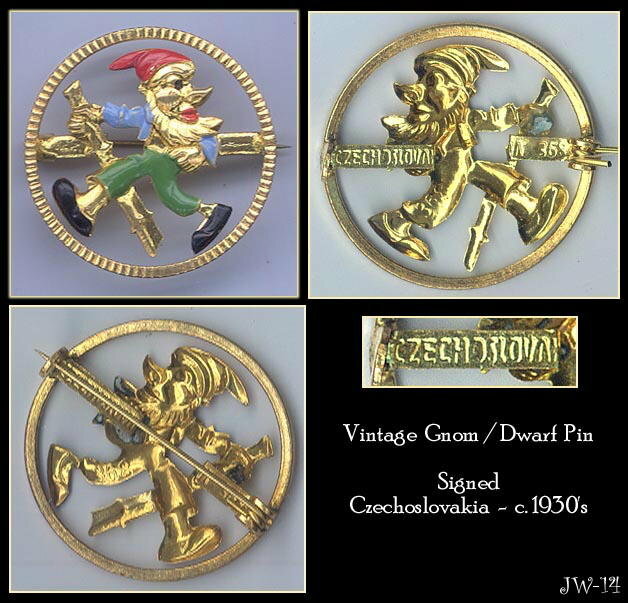 This pin is signed Czechoslovakia and listed separately, but shown on the second photo. Items Similar To "(3) RARE VINTAGE LITTLE RED RIDING HOOD PINS"